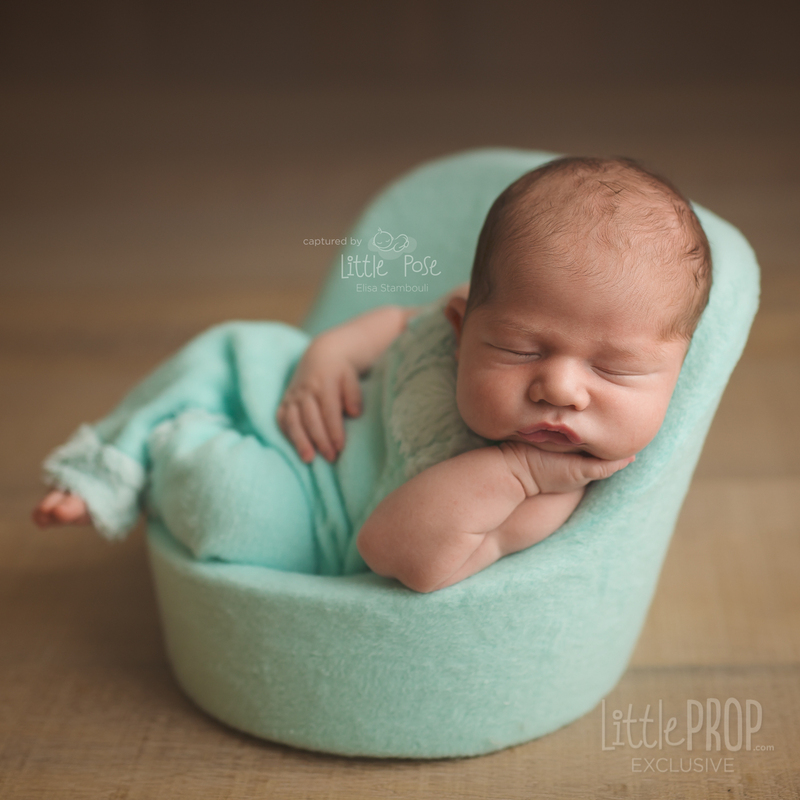 The Posing Pod 2.0 is the revolutionary GO TO prop for newborn photographers all around the globe! 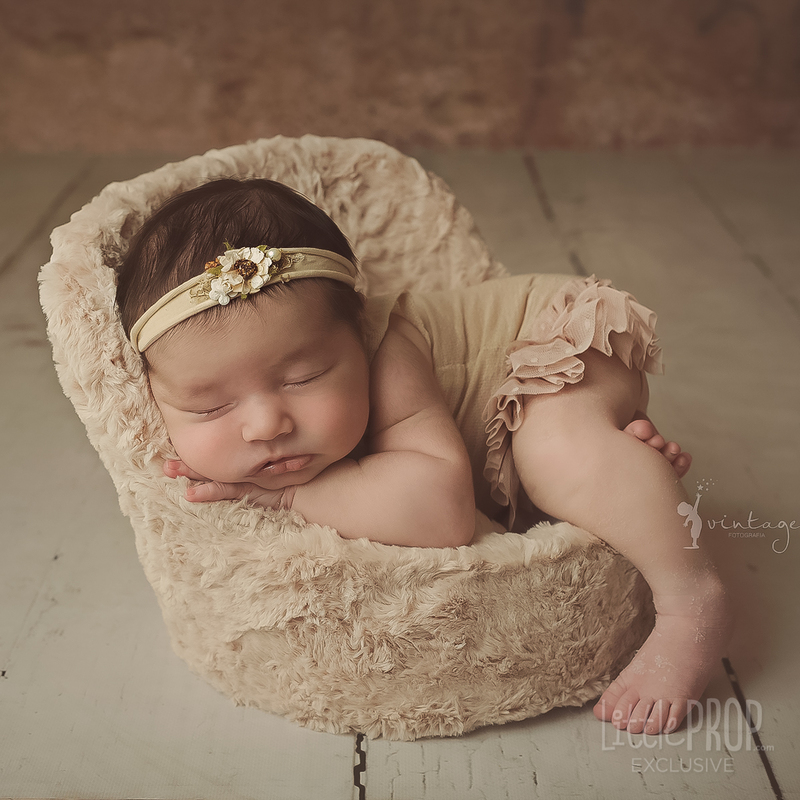 The easy, efficient, safe and fun way to pose and photograph babies of all ages! 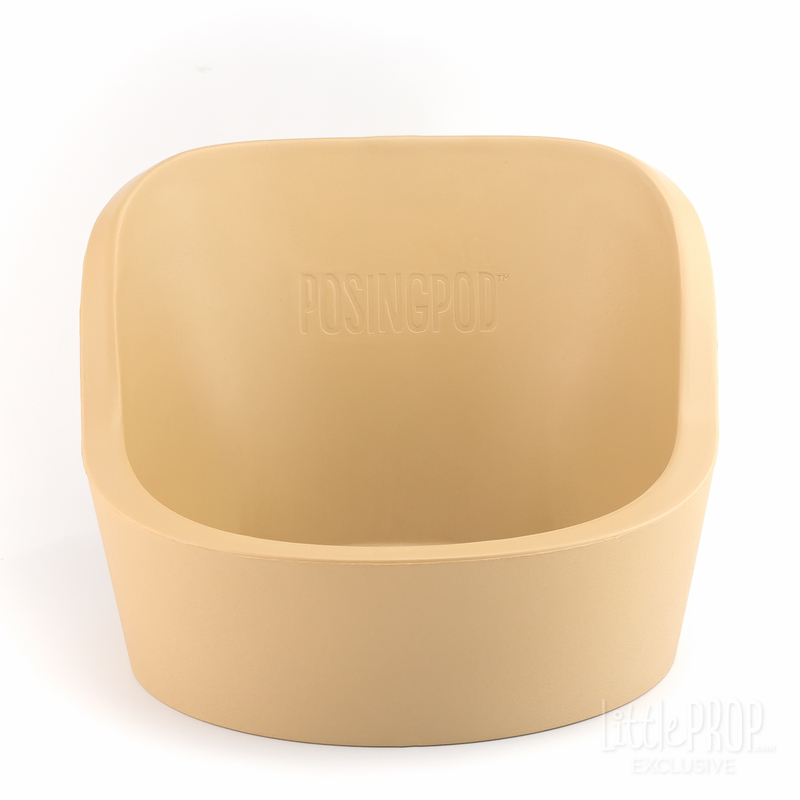 Our new and improved Posing Pod 2.0, now manufactured in a single three-dimensional piece. 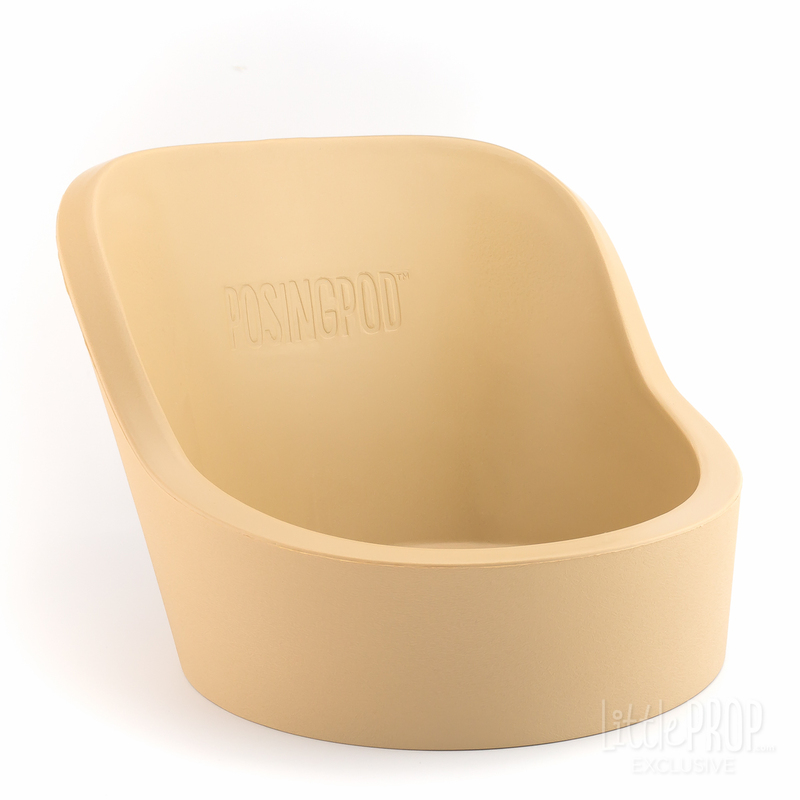 The new outstanding core is non-toxic, antimicrobial, surgical grade. So soft, yet sturdy, durable and amazingly stable. The Posing Pod is now safer than ever! 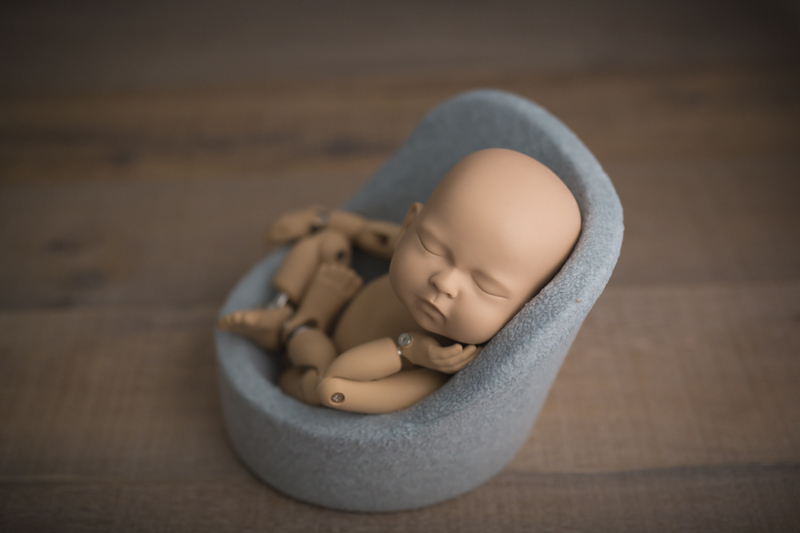 It's special design and shape makes it easy to use by properly supporting the baby and facilitating posing of key body parts such as head, legs, feet and hands. One cover of your choice, Standard OR Premium, any fabric, any style, at no additional cost! 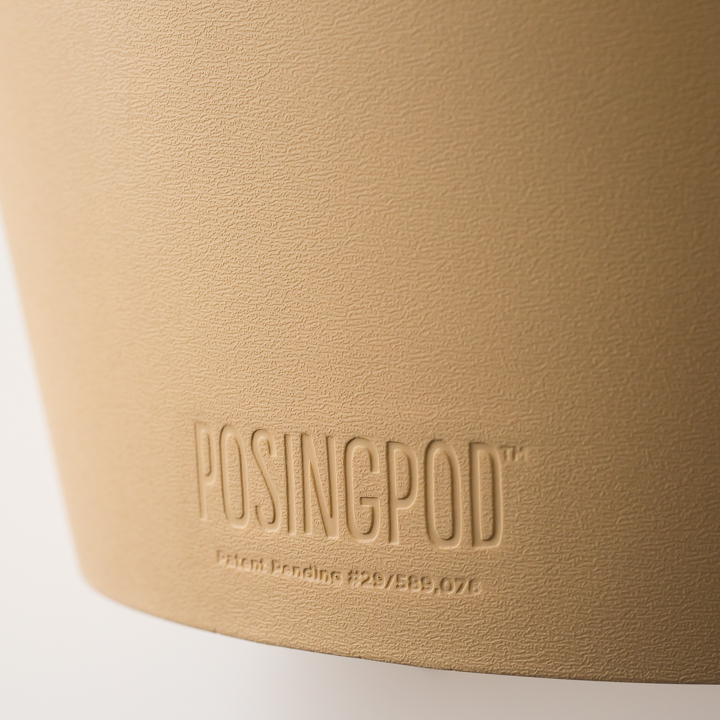 With your purchase of your Posing Pod 2.0, get additional covers up to 40% OFF. Select up to 2 additional covers below and as many additional covers as you want from our Covers Category. 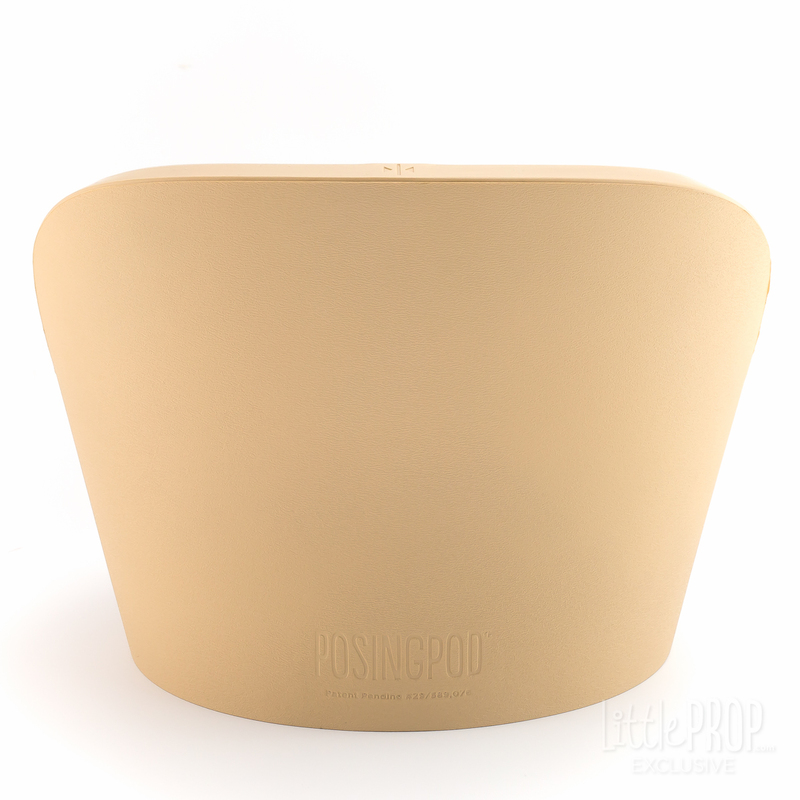 Most Original Posing Pod covers will fit your new Posing Pod 2.0, how cool is that! * Please note that due to some fabrics not being too stretchy or even due to washing shrinkage, some covers might not fit or might fit too tight. Built to Last Forever! 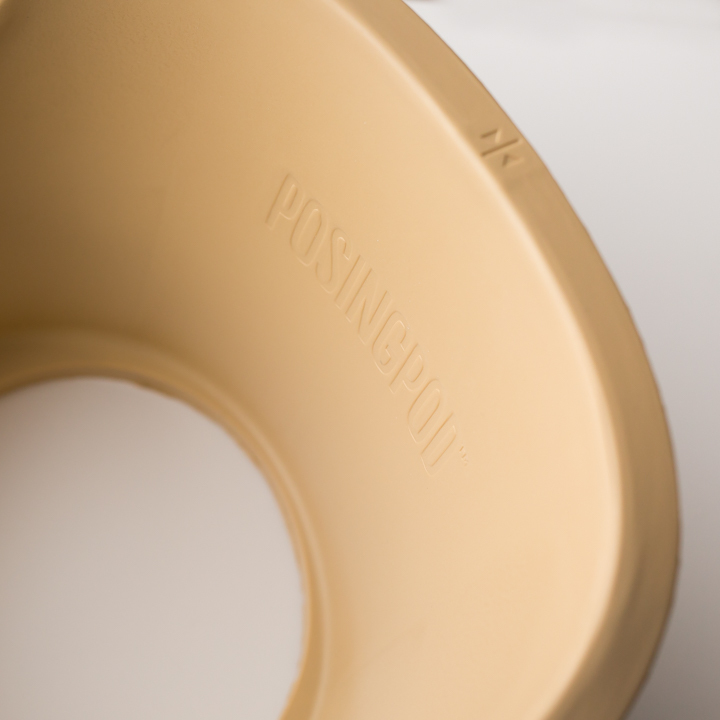 Its all-new injection molded medical grade polyurethane allows for an even longer lasting product. This could possibly be the LAST pod you'll ever need. Bottom Extra Support Like the Original Posing Pod™, the core is hollow and allows for perfect propping and support from underneath, but the New Posing Pod 2 has a sturdier base which will offer a roomier feel for the same size and an even more stable support for your little subjects. 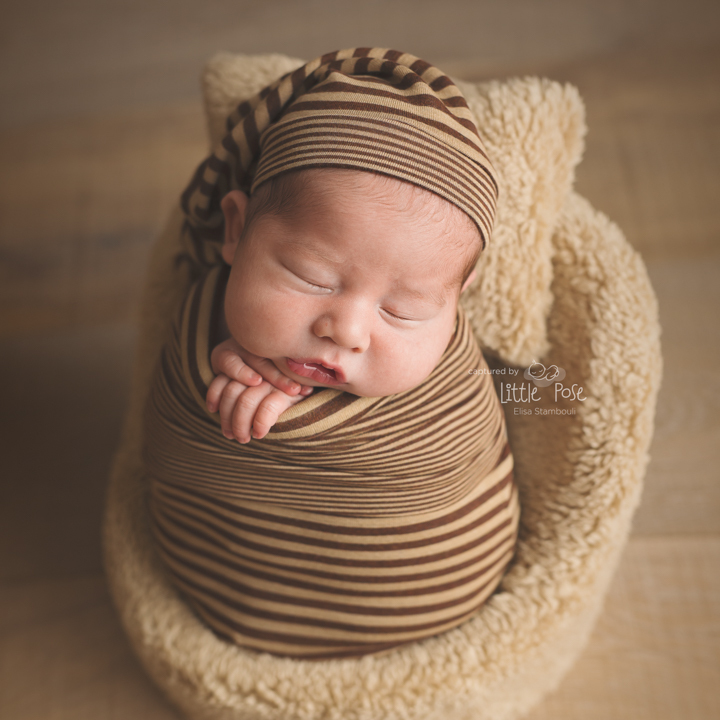 Photograph Older Infants And Children Due to its sturdy construction, you can pose almost any small subject that comes through your studio. Putting Covers On Just Got A Lot Easier Its easy to see visual guides and smoother material allow you to quickly put on its covers for a more productive photo shoot session. Get it right the first time...every time! If you already own the first Posing Pod: Reuse Your Existing Covers Almost all covers from your Original Posing Pod™ will fit your New Posing Pod™ 2.0 so you can reuse them, allowing for 2 pods for your sessions instead of just one! Need more covers? 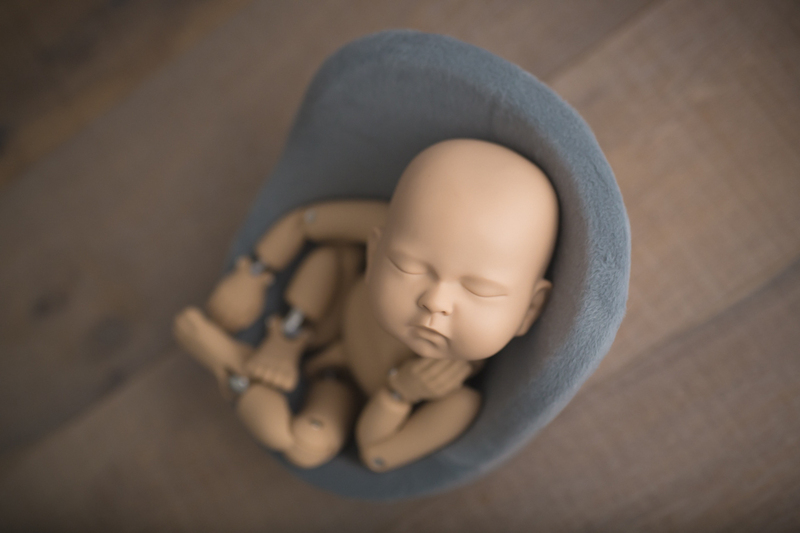 We'll get them to you at 40% OFF if you purchase during upgrade.From now til the end of November, Original Posing Pod™ owners can upgrade to the Posing Pod™ 2.0 at a discounted price. It's our way of thanking you for being part of our Prop Family. 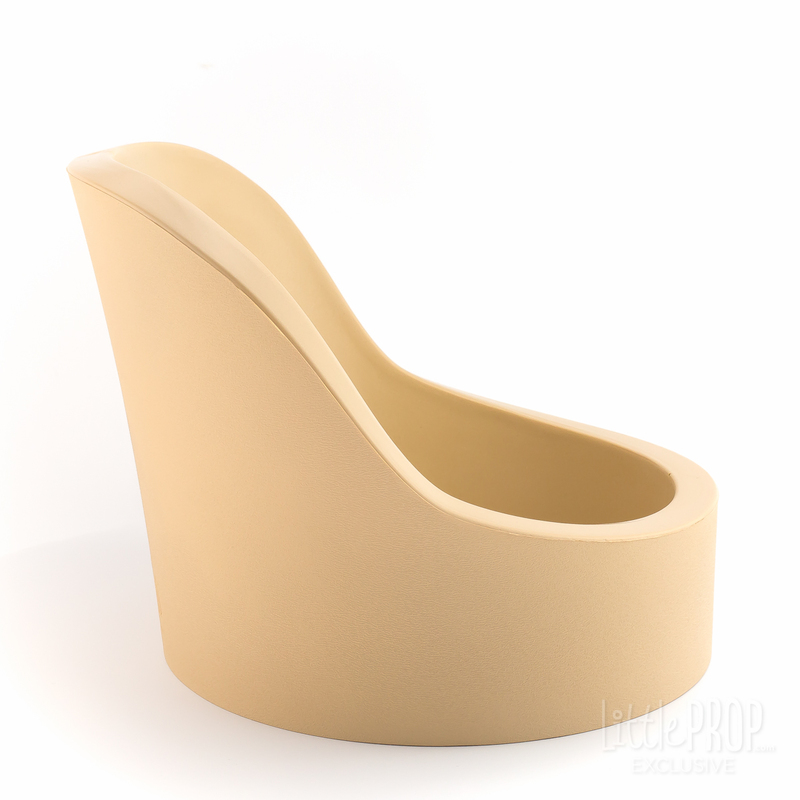 Single 3D piece molded PU. Cover guides for proper cover placement. Ultra smooth inner walls for hassle free of cleaning. Slightly textured outer walls allow for easy cover insertion and helps keep cover in place. 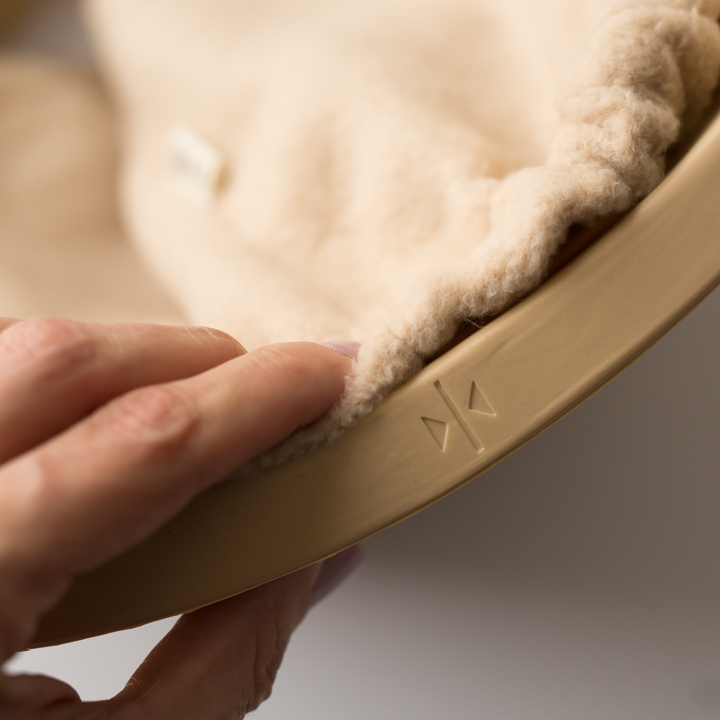 Open bottom for easily adding extra support hidden under the cover when needed. 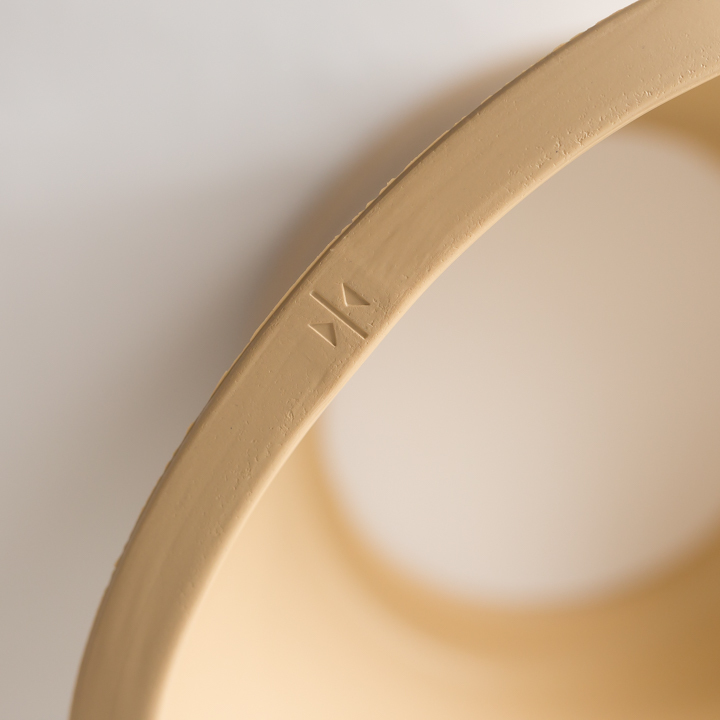 Resilient: sturdy but soft enough to slightly adjust the shape to accommodate baby, it will never loose it's original shape. Excellent strength, making it durable and stable. Zero water absorption and impervious to mildew, mold, rot, and bacteria: for those potential spills :), just wipe it out and you're done. 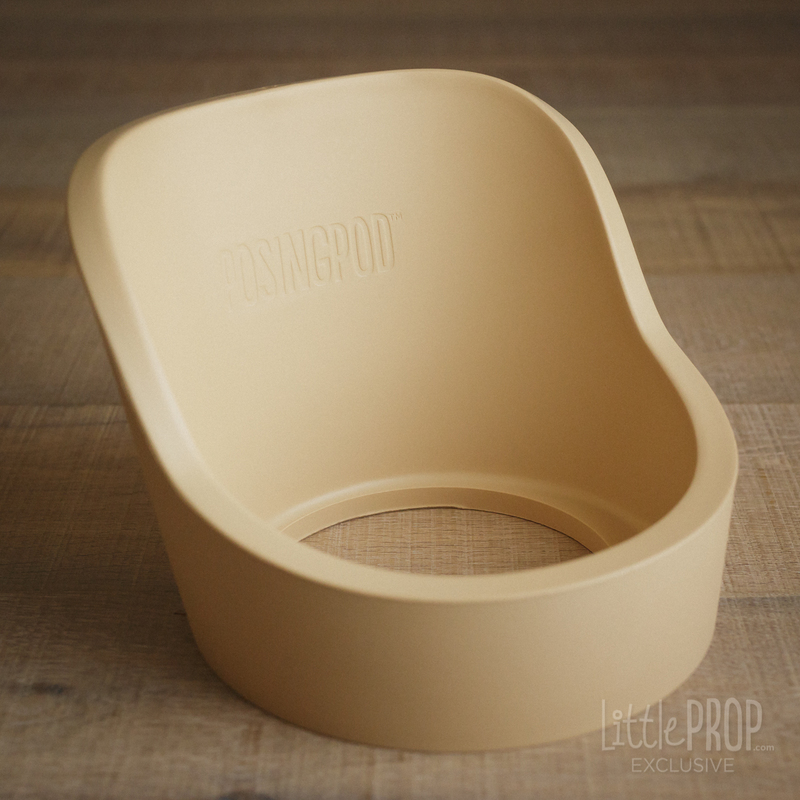 This product is not a baby chair and it is not intended for personal/everyday use with a baby. 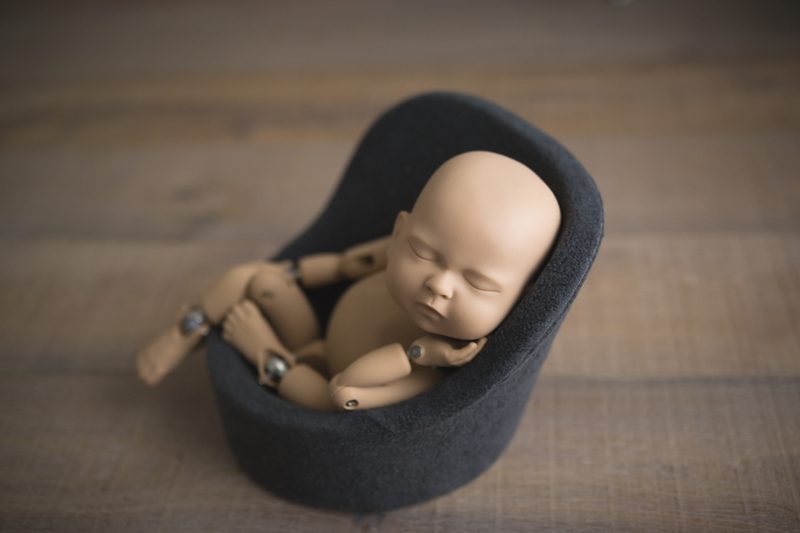 Never leave a baby unattended while posing on the Posing Pod™ or any other prop. covers might slightly differ from the colors displayed on your screen. Because only we could make it better! Our new and improved Posing Pod 2.0, now manufactured in a single tri-dimensional piece. 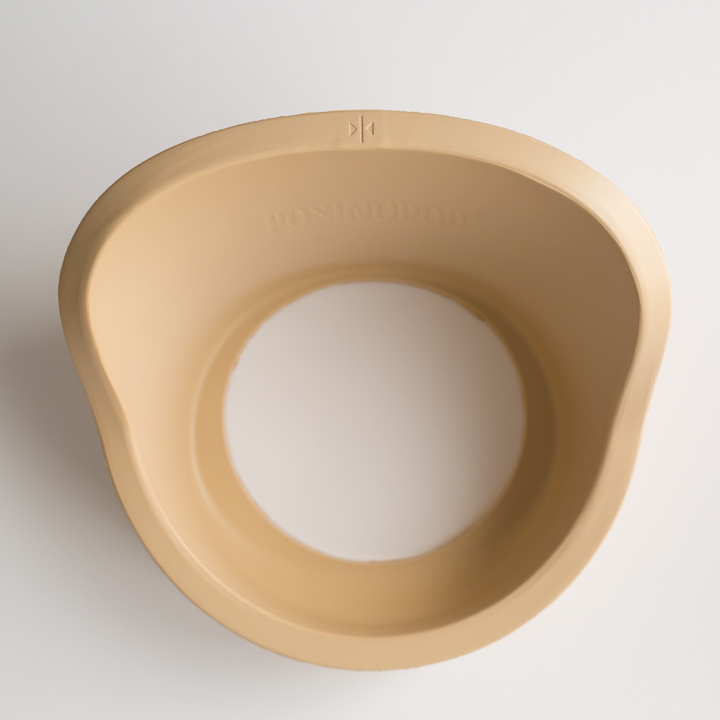 The new outstanding core is non-toxic, antimicrobial, surgical grade. So soft, yet sturdy, durable and amazingly stable. The Posing Pod is now safer than ever! The Posing Pod was the best investment I ever made! It's the most valuable prop I have EVER purchased! Wow! The posing pod is a real game changer, I wish I've had it earlier! Thank you! I like the pod very much! I had the first version and now I have the new one and this is a real improvement! 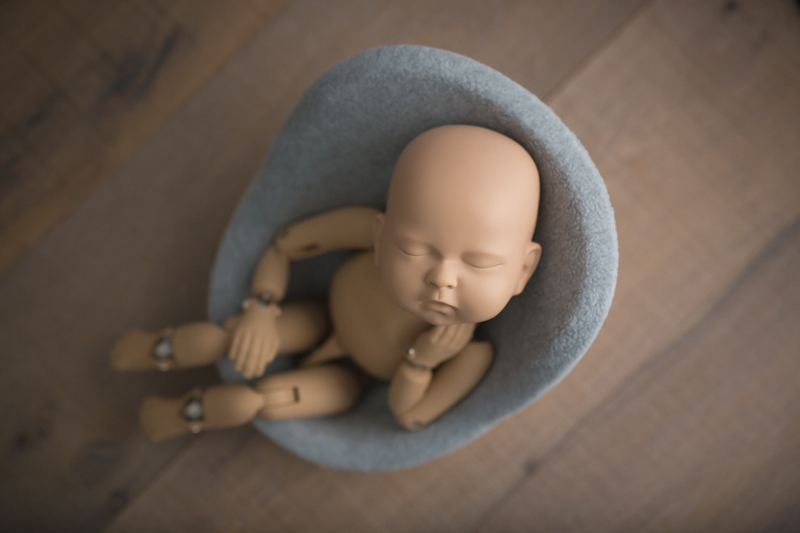 I use it every session, so easy to pose babies with it! I like it very much, arrived so fast! Thank you! This posing seat is amazing! I'm so glad I got into the real deal, awesome quality and excellent customer service, thank you very much! Oh and good to know that I can get the covers 30 off when I buy x3, thanks again!